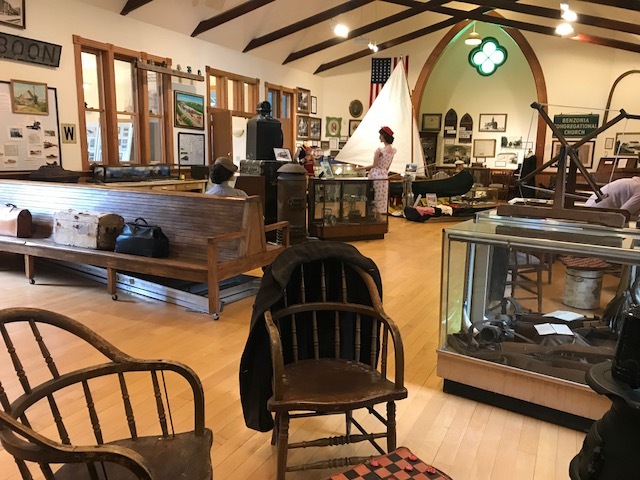 The Leelanau Historical Society recently had the privilege of taking a field trip with the Fishtown Preservation Society. All of the interns from each society were able to be on the field trip as well. The eight of us traveled from Benzie County to Glen Lake looking at Historic sites. First, we visited the Platt River State Hatchery in Beulah. It was established in 1928 as a satellite rearing station and converted to the state’s main salmon hatchery in 1972. 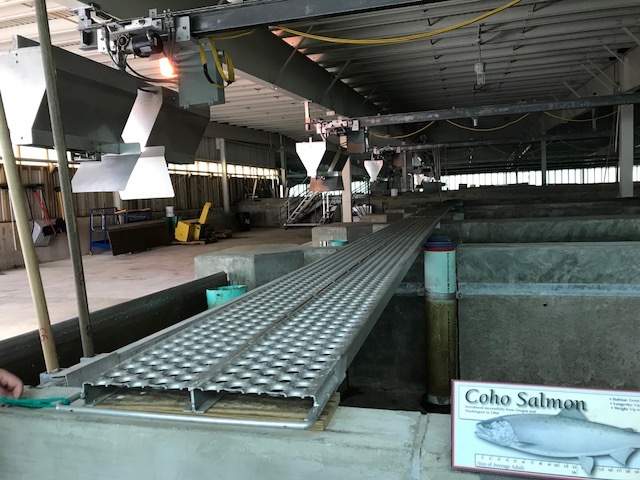 The facility raises Coho and Chinook salmon and is the main egg take station for Coho salmon in the Upper Great Lakes. It also provided the importance of medium sized rivers to the Great Lakes, the salmon story, how watersheds work and how a hatchery operates. After the Hatchery, our group headed to downtown Beulah to look at an antique store called, Myers Granary Antique Market. The grain mill turned antique store houses 10,000 Square Feet of quality antiques and collectibles. It is loaded with treasures from the past, a variety of Leelanau food and wine. Next, we headed to Benzonia, where we visited the Benzie Area Historical Society. We saw their exhibits on Summer Fun in the Benzie Sun and the Photography of W.H Sharp and Lost Schools. Around lunchtime we headed to Elberta and Frankfort to see the Iron Works Tower and the Elizabeth Lane Oliver Center for the Arts. The Iron Works was established in 1867 and gave the village of Elberta notoriety of having the largest and most extensive manufacturing works in Benzie County. The Oliver Center for the Art center was a chic gallery that mostly had modern and contemporary paintings. It holds special events and even painting and cooking classes. Our group ended the day with a visit to Grace Dickinson, a photographer from Glen Arbor. She began photographing at a young age as she accompanied her father Fred Dickinson over the dunes. She received her photography skills from her father, Frederick Dickinson. 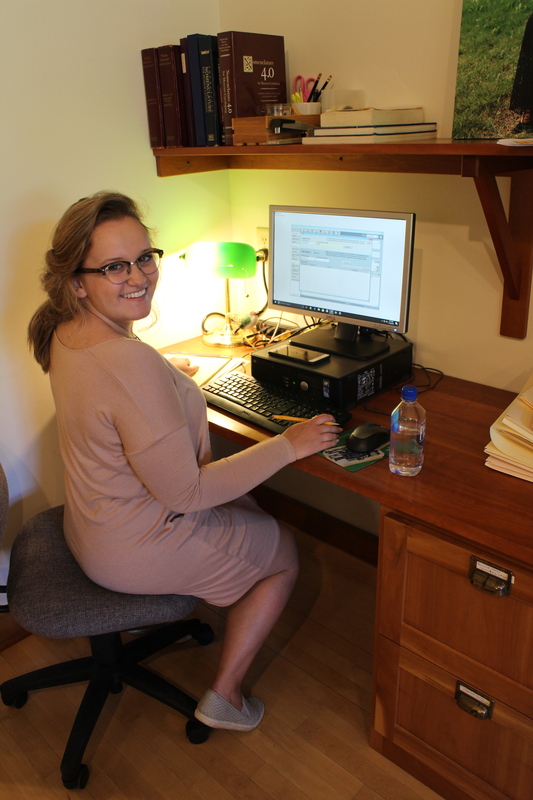 Grace operates a gallery in the same building as her father did on the south side of Little Glen Lake. I really enjoyed spending my time with Fishtown Preservation, Kim and Francie. It was the first time I had been to any of these places around our county, and I was glad to be given the opportunity to do so. To be able to travel to other small towns like Leland was special, and made me realize that every town has their own little piece of history that is important to them and that they are excited to share.